If you are as obsessed as I am on how to care for leather boots and shoes, you will enjoy reading this article I have put together and improved upon with each winter. I love well-made leather boots and look at them as something to own for many many years. I buy with the intent to care and repair, not throw away. This guide will teach everything you have wanted to know on how to care for leather boots and shoes. While primarily aimed at footwear, the principles apply to other leather goods you own. This leather care guide is applicable for both basic care and also includes plenty of in-depth information. You will find links to sources with even more granular information on shoemaking. From dress shoes to winter boots, my leather shoe wardrobe continues to expand and enjoy the fruits of labor from this post. I love being able to share this massive resource with anyone who appreciates fine leather goods. Even more so, I love hearing from those who have owned the same leather goods for many many years from caring for them and appreciating the craftsmanship. Tanning: The process of converting animal hide into useable leather. Last: The shape that a shoe is built on. Genuine leather: A marketing term which indicates some amount of leather content in the product. Some believe “genuine leather” refers to inferior quality leather, but Alden Indy’s are genuine leather, as they have “some leather content.” Many “genuine leather” shoes and belts you see at the mall are simply a canvas or padded cloth base with a thin coating of leather overtop. Further reading. Full-grain leather: another mostly meaningless term. It refers to uncorrected leather, but should not be used as an indicator of quality. Further reading. The construction process determines how the bottom of a shoe is put together. See images below this list. Leather is the result of tanning raw animal skins, making it more durable and less susceptible to decomposition processes. The tanning process has many variations to produce many different types of leather, although few specifics are known outside of the industry. Although there are variations to the tanning process, there are some generalities about leather. Its workwear heritage can be attributed to its tough, water-resistant, and hardwearing nature. In addition, leather can develop a beautiful patina with time, adding to its character. Identifying quality leather is not an easy process and is best done through experience. Moreover, it’s largely dependent on the type of leather used. Better leathers have more consistent grain, less variation in finish and thickness, and are not corrected or treated. Other than that, it is suggested to spend time reading about and experiencing leather firsthand. Conditioners serve to replenish the fats and oils in leather. This prevents leather from drying out or cracking, as well as increasing its water resistance. The average conditioner typically consists of oils and a solvent. Some conditioners, such as Venetian Shoe Cream, also contain a partial wax content, which helps develop a shine. Conditioners with wax content are best suited to dress shoes, while those without are best suited to casual shoes. Recommendations include Saphir Renovateur or GlenKaren Conditioner, or Allen Edmonds Conditioner (rebranded Collonil). Polishers are wax based products that serve to put a colored polish on a shoe. These should only be used for dress shoes, and most dress shoe makers carry shoe polishes that match the colors of their shoes. Cream based polishers are actually colored conditioners and are unnecessary. As always, Saphir is a great choice. Waterproofers are waxed based products that serve to protect your shoes from the elements. These should not be used on shoes not used for working, as they are heavy products that can change the character of the leather. Frequently, they also contain a solvent for easier application and a bit of conditioner. Recommendations include Obenauf’s Heavy Duty Leather Preservative or beeswax. Shoe trees are chunks of cedar that serve to maintain the shape of your shoes and draw out moisture. 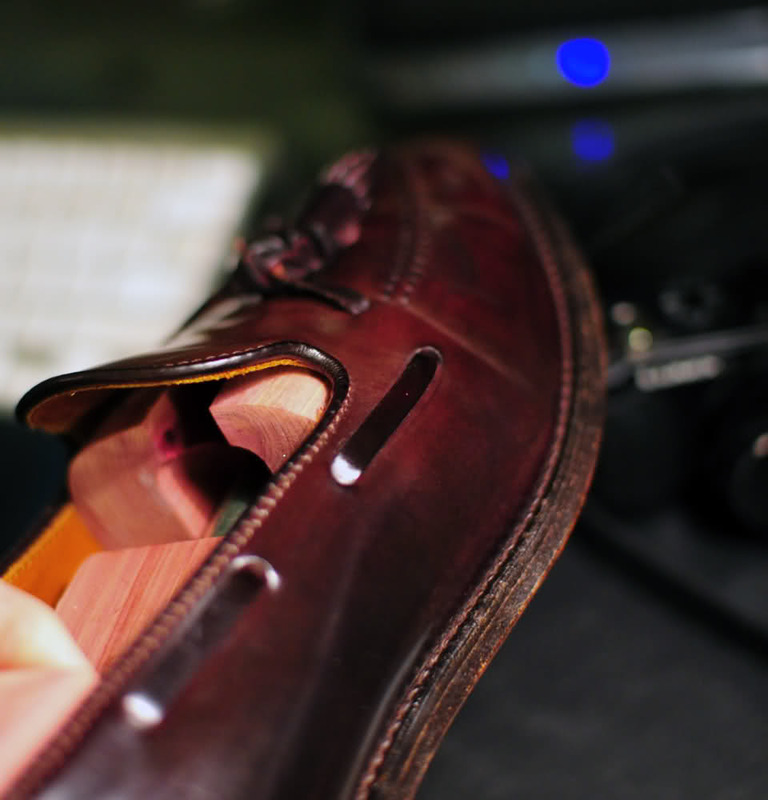 There is no reason not to use shoe trees in all of your leather shoes. Split toe trees are not necessary unless the shoes were built on a narrow last. Shoe trees do not exhibit a force significant enough to stretch shoes. Lasted shoe trees are optimal, but the most cost-effective option are Woodlore shoe trees from Jos A. Bank when they go on sale. Mink oil is not commonly found on the market as a shoe care product, due to its scarcity in pure form. Mink oil sold as a shoe care product is dubious as a care product for fine leathers because it’s composition is unknown and inconsistent. Most mink oil compounds sold as “mink oil” contain a high percentage of synthetics that will serve to dry out your leather and prevent it from breathing. In addition, true mink oil is highly viscous, and even in compound form it will absorb poorly and may cause significant darkening of leather. It can also go rancid and cause rotting. Leather cleaners are products designed to clean leather. Most leather cleaners should be used only when necessary, as they strip leather of a lot of its oils. Recommendations include Saphir Renomat and Saddle Soap. Brushes and cloths are possibly the most important part of your shoe care arsenal. For brushes, there isn’t a huge difference. However, having a larger and a smaller brush is important, and some may want to have a different set for different colors. For cloths, Allen Edmonds has good budget options, but an old t-shirt ripped into strips will work fine. The basics to leather care are to make sure it remains well conditioned while preventing dirt buildup, salt, or water damage. It’s best to condition whenever you feel the leather is getting dry. Knowing when leather is getting dry is an acquired art and not always so easy to determine. A general rule is to condition every five to ten wears in hard conditions, and every 15-25 wears otherwise. As important as it is to avoid dry leather, it is also important to avoid over-conditioning. Application of a conditioner should simply follow the directions. Many conditioners can be applied by hand. Be sure to apply small amounts – when in doubt, apply less. Prior to conditioning, make sure the leather is clean. Applying any oil or wax based product over dirt causes the dirt to be trapped, leading to long-term deterioration. Prior to any conditioning, you should brush and wipe your shoes down with a damp cloth. Get yourself a good horsehair brush. It is incredible what a good brushing can do to a pair of boots to bring out the shine. Your shoes should be brushed with a shoe brush after each wear, or every several wears. During the rainy months, I keep a brush by the door and make it a habit to quickly brush every time I come home. It takes a few seconds and makes a world of difference. Every now and then, it is important to clean the welt of your shoes. Using a tooth brush or q-tip, wipe the welt. A clean welt is the mark of someone who truly cares for and loves their shoes. If your shoes are extremely dirty, use a cleaner such as Lexol Leather Cleaner or Saphir Renomat prior to conditioning. All cleaners are heavily drying, so be sure to pay extra attention to the conditioning step afterward. Clean as necessary: wipe, leather cleaner, etc. Wait a minimum of 20 minutes or until fully dried. Some instructions may recommend several hours. Wait another 20 minutes minimum again. When applying any product, be sure not to apply external sources of heat other than your hands. There are lots of incorrect statements floating around about how this “opens the pores,” which are simply not true. The only thing you will cause is over absorption of a product into the leather. The reason a product is not absorbed under normal conditions is because there is too much product, and applying extra heat will only cause that product to be poorly absorbed and seep out. In other words, do not heat or blow your shoes with a hairdryer to get them to absorb more conditioner. There are three primary leather cleaning products you can use. These are best used to clean excess dirt and grime off your shoes/boots after heavy wear. However, many times wiping down your boots with a damp cloth will suffice. Leather cleaners should be used sparingly, as they dry out the leather. After using a leather cleaner, be sure to condition your shoes. Save leather cleaners for when your boots really need it. Saddle Soap: Slightly more abrasive, can scrub the finish off a pair of shoes. Good for removing wax buildup. Use with discretion. Lexol Leather Cleaner is generally a safer alternative for beginners. Saphir Renomat: If you are new to footwear, you should not be using this. Not a cleaner as much as a nuclear option for stain removal and stripping wax, oils, et cetera off a shoe. Stain Removal: If you are attempting to remove a small stain or spill on your boots, often heavy scrubbing and treatment will only enlarge the stain or remove the finish from your boot. Sometimes the best method is to do nothing. These are 5 high quality conditioners. There are dozens of specialty products, colored creams, and polishes on the market. Consider this your jumping off point for you to care for your shoes. Lexol: A solid, basic conditioner. Offers good penetration of the leather. Once fully dried, usually overnight, it can be brushed to a nice neutral shine. Pefect for general use not requiring a specialty product. Bick 4: Very similar to Lexol, comes down to personal preference. Red Wing Products: Some products such as their “All Weather Boot Oil” will darken your leather. These products are niche with certain boot owners. Venetian Shoe Cream: High shine. Tends to not be absorbed as well as Lexol however VSC has many similarities to a polish and once brushed will leave your shoes with an excellent shine. Allegedly Nick Horween’s favorite conditioner for chromexcel leather. Saphir Renovateur: The “High-End” option. Best used for when you want to spoil your shoes, however not necessarily the best. High shine once brushed but slightly more absorption than VSC. Obenauf’s LP: Should only be used on shoes that undergo extreme duress (e.g. walking in the snow/slush/mud/rain for multiple hours continuously). If you live in the city or suburbs, you do not need to apply LP. Although you may want to protect your new investment, leather is naturally water resistant and the best idea is to condition it well and rely on its natural resilience. This is actually my favorite, as I take my leather boots on plenty of hikes in the snow, rain, and mud. Obenauf’s LP: Taking extra care to apply a little extra near the stitching of the boot. Make sure absorbs well by using your hands, not exterior heat. Wipe any excess. Some may like Obenauf’s or similar products because of how they darken leather. We suggest buying a boot that you already like the color of, as the darkening process also removes much of the depth of color. Coconut Oil should NOT be used. Coconut oil was a fad several years ago however it is very easy to over-apply and saturate your leather, damaging your shoes. Return that tub and purchase a good quality cleaner like Lexol or Obenauf’s. If your shoes develop a scuff, it is relatively easy to treat. For pull up leathers or shell cordovan, use your thumb and a tiny amount of conditioner to rub away. It will come out with time and pressure. If you are scuffing regular leather, use thin layers of polish to fill and cover the scuff. Unfortunately, you cannot make a scuff in regular leather disappear, only cover it up. Leather tends to have many self healing properties. If you do get a small surface scuff or nick in your shoe, gently condition, brush, and then let it be. 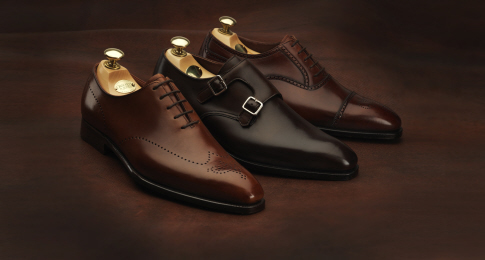 All leather shoes should rest 24 hours after wearing with a cedar shoe tree inserted, without exception. Your shoes need time to dry out in order to increase their longevity. There is no major difference in shoe trees, although a split toe is preferable over a solid toe and a lasted shoe tree is most preferable. However, lasted shoe trees are exceedingly rare and even the craziest of shoe aficionados rarely own lasted shoe trees. Some people prefer to use removable inserts. If you are concerned about sweating too much in your shoes or moisture absorption, I highly recommend wool socks such as Darn Tough. Make sure your shoes are completely dry before polishing. For dress shoes, you will want to apply polish. Similarly to conditioner, apply polish in small layers amounts using a brush or cloth in concentric circles and mild pressure. Do not apply much polish to any area that gets wear, such as the vamp. Wax based polishes apply some pigment, while providing protection and improving the smoothness of the finish. In addition, they allow for the development of a mirror shine. The trick to developing a mirror shine is to use several thin layers of wax polish, a few drops of water, and an incredible amount of practice and patience. Developing a mirror shine is tough and every person usually develops their own tricks to doing so. It is good practice to strip the excess wax polish from your dress shoes every three to six months, then condition and rebuild. It is recommended to use Saphir renomat to strip any dress shoes, then Saphir renovateur to condition. Shell cordovan: As shell is such a resilient leather, care is minimal. Brush and wipe as often as you like, or at least every five wears. It’s a good idea to condition every three to six months. For shine, use Venetian Shoe Cream or Saphir Renovateur. If you want to use a more speciality product for shell, you may like Saphir Cordovan Cream in the color of your shoe. Apply lightly, as shell cordovan is already highly impregnated with oils. Follow conditioning with another brushing or buffing. Due to shell’s oily nature, it will develop a waxy buildup in the rolls. Simply wipe this away with a damp cloth. There also appears to be some truth to the deer bone rumors. It seems to be highly effective in removing scuffs and scratches in shell and other highly oiled leathers, although you can usually achieve the same effects with your thumb and a little bit of oil. Suede, nubuck, and roughout leathers: Topical products are not advised, as that can ruin the nap. Apply conditioner to the interior of the boot. Nano Tarrago is an excellent speciality product. With a lining interior in the boot, you can mix Lexol with water in a spray bottle and spray it onto the roughout to provide an even application. Brush occasionally using a suede brush. Some apply products for water resistance, but that is not necessary. If you do so, use Allen Edmonds’ or Bick’s sprays. Always follow recommended application. Saphir has a range of suede/nubuck/rough out products, including a spray conditioner, and a water repellent spray. The Saphir Renovateur spray is a great way to bring back some of the color to suede, as well as condition it. Give the shoe a light spray across the surface, and let it sit. The Saphir Invulner waterproofing spray is great for protecting suede from the rain if you end up getting caught in a storm. It provides a layer of protection, almost like Rain X on your windshield, and essentially makes rain bead up and roll off your shoes. You would apply it the same way that you would the conditioner. These speciality products are optional depending on your own personal shoe wear habits. Scotch Grain and Zug Grain: For true Scotch grain or Zug grain shoes and boots, it is recommended to brush/wipe and condition treatment similarly to shell cordovan. For pebbled grain shoes, provide regular treatment. If you are unsure of the type of grain you have, it is almost guaranteed they are pebbled grain. Leather Sneakers: Similar treatment is highly recommended. Use shoe trees! For conditioning it depends on your unique pair of sneakers, the leather properties, the amount of wear, and personal preference. Leather is inherently resilient, but you want to maximize its life. Through excellent care, you can make an investment last a lifetime. A frequently asked question is whether an apparent defect is to be considered normal or acceptable. Ultimately, this is a decision that you should make yourself in discussion with the manufacturer, but hope to shed some light on this issue. 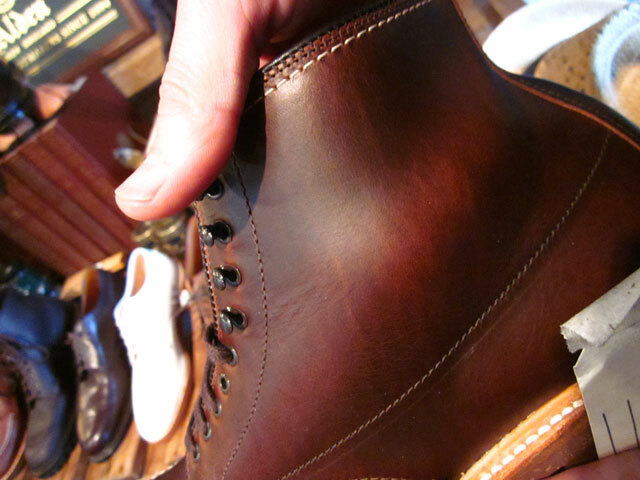 Most shoemakers are rather lazy in their quality control, and things like bad clicking or poor finishing seem to be common, with the exception of the higher end European shoemakers and perhaps White’s Boots in Spokane, WA. Generally, if a defect does not affect the longevity of the shoe or adversely affect the aesthetic, it is recommend to accept it as part of your boots. Generally speaking, a missed stitch or a badly wrinkling piece of leather in the rear quarter does not affect longevity, but a bad piece in the vamp may do so. Issues with asymmetry, missed edge symmetry, or gouges in the leather do not typically affect longevity either. Returning those is an aesthetic choice that is yours to make. A hole in the leather also does not typically affect longevity, but hope you would return any goods that had that issue. Any sort of issue with the welt, sole, gluing, or vamp (or any other point of high wear) is typically cause for an immediate return. Even if those issues may not actually affect longevity, it is best not to take the risk. Be aware of whom you are buying from. Holding Alden to an extremely high standard is reasonable (but prepare to be disappointed), but holding Red Wing to the same standard is perhaps not. Holding Chippewa to the standard of either is simply unreasonable. If you want a perfect product, at some level you have to be willing to pay more for it. Ultimately, remember that there is not a linear relationship between price and quality. Finally, on the wisdom of buying seconds/used. Buying seconds or used shoes is an excellent way to save money, and most of the time there are few defects or issues with the shoes. Buying barely used is certainly the most cost-effective way. However, be aware that a shoe manufacturer can refuse to recraft a pair of seconds without reason. I just bought these shoes/boots/whatever, do I need to do anything prior to wearing? The easiest way to answer these questions is to get a sense for leather. Some shoes bought new have been fine, while others have definitely needed an urgent conditioning. As a general rule, it’s best to condition your shoes or boots upon arrival. There are a lot of products on the market, and only a few were included a few for brevity’s sake. If it’s mink oil/snoseal/coconut oil, probably not. Those reasons are outlined above. If it’s a conditioner, the answer will probably be yes, with few exceptions. Most products lines, such as Kiwi or Meltonian, are fine, but other lines such as Saphir are simply a step above. I haven’t care for my shoes/boots/etc in several years. How bad did I mess up? You might have really messed up, but you can almost always remedy your situation. If your shoes are very dirty, you want to start with a thorough cleaning. Start with a brush and moist rag. Brush and wipe to remove most of the excess, obvious dirt. Then follow up with an application of saphir renomat and brush/wipe again. Allow the shoes to rest for a few minutes and dry. Now comes the conditioning process: depending on the state of the leather, apply multiple coats of conditioner, one at a time with drying time in between. Apply thin coats, and make sure to spread them evenly, wiping the excess. When you feel that your shoes are well conditioned, you’re done. Some restorations of vintage shoes can take months, with restorers using dozens of applications over several months to prevent cracking. In other cases of neglect, namely in which there has developed mold or the like, there are cases where shoes have been subjected to a dilute bleach bath to kill spores. This is to be done at your own risk, although we’d be happy to try to help. Generally, we suggest tossing shoes if they have reached this point. Be sure to condition multiple times afterwards. Realistically, don’t let your shoes develop mold by using shoe trees. I’m trying to beat up my boots, so why would I use shoe trees? Shoe trees have tangible benefits. Not using them is detrimental to your shoes, as cedar shoe trees help maintain shape, combat smells/mold/bacteria, and absorb moisture. Why do you hate Snoseal/Mink Oil/Coconut Oil? Snoseal/Mink oil has their roles, but those roles aren’t present in the lives of 99.99% of leather shoe wearers. It’s an extremely heavy duty product designed for prolonged outdoor wear, and most people do not wear their boots in heavy enough conditions to warrant it. Why Should I only Use Obenauf’s for heavy wear? Although it is an effective product, Obenauf’s is not for everyone. While I’m sure you want to protect your new boots, Obenauf’s can actually work against that protection by preventing the leather from breathing. I Obenauf some of my boots, but certainly not all. The boots that I do use Obenauf’s on is are strictly boots I know I’ll be wearing very hard for prolonged use in nasty conditions. For hiking and traveling, I’ll often end up walking in nasty or mucky conditions, including walking through small streams or waiting in standing water for prolonged periods. If all you’re doing is running from your car/bus/train/taxi to your office door, you don’t need (and shouldn’t use) Obenauf’s. I don’t baby my Alden’s or shell cordovan 1000 Miles either (I’ll probably never own a boot that I’ll truly baby, as it just doesn’t jive with the idea of boots to me), but they’re more than fine dealing with a good bit of mud/water as long as it’s not for a truly prolonged period of time (running a few blocks from the subway doesn’t count as prolonged). Because I wear my boots so hard is the same reason I don’t worry about stifling the leather: heavy use will flush the leather of just about everything. Without that heavy use, the Obenaufs would sit stagnant in the flesh of my boot, preventing circulation and the overall health of my leather. Until you’ve truly saturated the leather of your boots (wax and oil, the two things that your boots are stuffed with are both naturally water repellent), you just don’t need or want Obenaufs. Lastly, Obenauf’s won’t help protect boots from salt. Nothing will, aside from a quick wipe-down with a damp rag and brushing them from time to time. That salt or salty slush only has to touch the surface of your boot to have a significant drying effect, and Obenauf’s doesn’t do anything to counter that. As for Mink Oil compounds, they are discussed above, but the basic summary is that they are not very good at what they’re supposed to do, and can cause rotting, especially of stitching. I regret using a product. How can I undo what I did? Assuming you’re talking about a heavy wax-based product, undoing whatever you did is similar to a deep clean, described above. What you’re going to be doing is stripping the boots of all surface oils, waxes and polish, or anything else you may have used. Then clean, condition, and protect, in that order. Apply Saphir Renomat repeatedly until no nore LP comes up on your rag or cloth you are using. Use a leather cleaner like Lexor or Saddle Soap and scrub away anything that remains. At this point you should have a surface that resembles the original color. You will probably lose all patina atop of the Obeanuf’s, but that is the price you will have to pay. Then condition using GlenKaren conditioner, Saphir Reno. You have stripped the boots of most of their natural oil in order to remove the wax. Now you must reapply it. Apply ad libitum, and let air dry. Then do it again. Give the boots at least a week or so to fully absorb the oils, or more time as you see fit. Some vintage shoe collectors will repeat this process for literally months on exotic uppers to prevent cracking. Wipe away any pockets of residual oil that may form. You want nice even coats. If that went well I would then recommend a neutral polish to try and get some shine back and preserve the color. Do not use any heavy waxes (you’ve probably learned that lesson by now). A neutral wax polish will provide adequate protectant in light to medium rainfall as long as your not puddle jumping. Why so few mentions of Venetian Shoe Cream? I simply think other products are better, despite Nick Horween’s recommendation. How do I take care of salt damage/stains? The easiest way to take care of salt is to wipe down with a moist cloth after every exposure. The goal is to dilute the salt as much as possible and wipe it away. However, with multiple exposures, salt stains are inevitable. Wipe with a moist cloth, then, using a dilute vinegar solution, wipe the affected area. Allow it to dry, then brush, condition, and brush again. 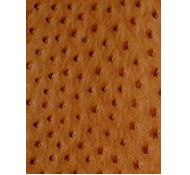 Calfskin is a dress leather due to its fine wrinkling and suppleness. However, it is relatively delicate as a leather when compared to pull-up leathers, and handles wear and water only moderately well. Cowhide and horsehide are two of the primary sources of leather, and can be tanned in varying ways to produce different products (including pullup leathers). Regular cowhide and horsehide are similar to calfskin in that they have a solid, unchanging finish. However, they have coarser wrinkling and are considered less formal. Pullup leathers aren’t necessarily a type of leather, but rather a tannage. In other words, pullup leathers can be sourced from nearly any animal. They are characterized by their response to interior pressure, specifically that they lighten when pushed on from the inside. Horween Chromexcel is likely the most commonly known pullup leather, although there are many types of pullup. These leathers are stuffed full with oils and fats, lending to their resiliency, stretch, and water resistance. Pullup leathers are generally consider more casual. If left untreated, pullup leathers will lighten at the creases with wear. Shell cordovan is arguably a pullup leather, but is discussed separately due to its unique characteristics. Shell cordovan is one of the least stretchy leathers, and is highly prone to cracking under tensile force. However, it is a hardwearing, dense, highly water-resistant leather cherished today its for depth of color and rolling folds. This explains its heritage as a workwear leather and casual nature. For more information on the heritage and origins of shell cordovan, check out this blog post. Roughout leather is regular leather turned with the rough side out, leading to a soft, highly textured feel. 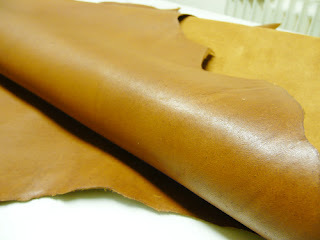 Any leather can be used as roughout, although pullup leathers are most common. Roughout is considered casual. Suede is the result of splitting the hide, then taking the bottom half and sanding/buffing it to raise a nap, the fuzzy quality of suede. The result is a soft and flexible leather, but sacrifices water resistance and durability. Due to this lack of weather resistance, it’s often considered a spring/summer material. It’s also very casual due to the texture. Nubuck is similar to suede. It is made by sanding and buffing the topside of a hide to raise a nap. The result is similar to suede, but more durable. Nubuck is casual. Patent Leather is the most formal of leathers due to its smooth, shiny finish, although it Is also used on some designer sneakers. True patent leather is the result of a long process of buffing with many layers of linseed oil lacquer, and it is now rare and commonly faked using plastic topcoats. Scot’s Grain is also known as Scot’s, and describes Scottish leather that had been tanned in old whiskey aging oak barrels filled with barley mash. This gave them an almost shriveled appearance on the surface. 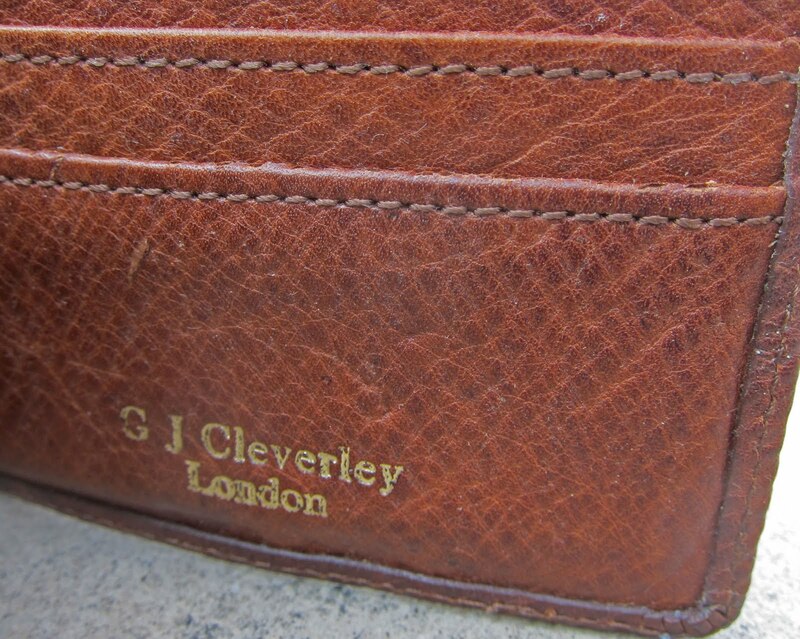 True scotch grain leather is exceedingly rare, and most is faked through stamping rather than through tanning processes. This faked Scotch grain is known as pebbled grain. Zug Grain is highly water resistant, to the point of being waterproof, and is commonly used in veldtschoen construction to create naturally waterproof boots. It has a scaly appearance and dark chocolate colour lent from the tannage process, which includes a step tanned in a milky chocolate syrup. Don’t ask how that happened. Exotics are leathers that are uncommon, such as alligator, kangaroo, or shark. They are all unique in their characteristics. Stingray: Somewhat stiff leather characterized by its covering of small bone scales, stingray is often dyed black and left bumpy, but can be sanded down and dyed a variety of colors. The scales reflect light fairly sharply and are difficult to sew through, as they must be broken for the needle to pass through. 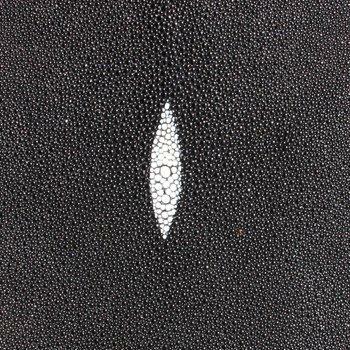 The actual leather of stingray is actually rather thin, with long fibers loosely woven. As a result it is often backed with kangaroo, horsehide, or calf to provide additional durability. Can be paired with an aggressive last for a striking evening Shoe or wallet, but is not general recommended for daylight wear. Ostrich: Fairly thin but durable leather, has characteristic large “goose bumps” from the follicles that produced feathers. Often used in cowboy boots and fashion footwear. Reindeer (Caribou): Reindeer is really only in the collective awareness because a cargo ship from 1786 was recently excavated containing a great deal of it (all embossed with a subtle hatch-grain). At one point in time, reindeer (domestic caribou, kind of like pig/boar) from Russia was used extensively in bookbinding because it was water and insect resistant. I believe this was as much a result of the alder/willow tannage as from the leather, but regardless of the reason, reindeer is no longer very common on the market nd the traditional leather isn’t replicated. Like deer and moose, it tends to be soft and have low density, making it less suited for shoemaking than other leathers. Water Buffalo (Bison): True buffalo is durable with a fairly prominent grain and is often found on workboots, however much of what is marketed as buffalo is actually low grade cow hide that has been shrunk to produce a patterned effect. The shrinking will tighten the collagen matrix and produce a visually interesting pattern, but is not as durable as untreated top grade leather. 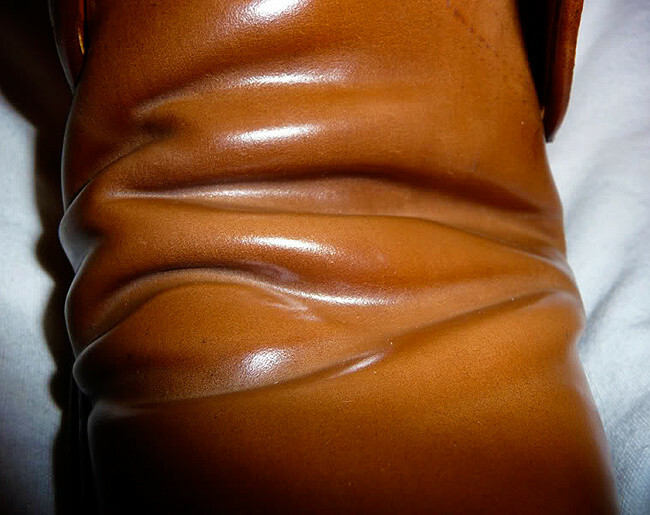 This type of corrected leather is often found on mid-priced cowboy boots and leather jackets. Kangaroo: mild grained and fairly thin (2-3mm), kangaroo has one of the highest tensile strengths of any leather, making it ideal for use in shoelaces. It’s also the preferred leather for whips and is a traditional leather for cleats and other sports footwear. At point it was fairly commonly used on mens dress shoes and boots, whick brings up another interesting quality of kangaroo, it doesn’t dry out like most leathers. 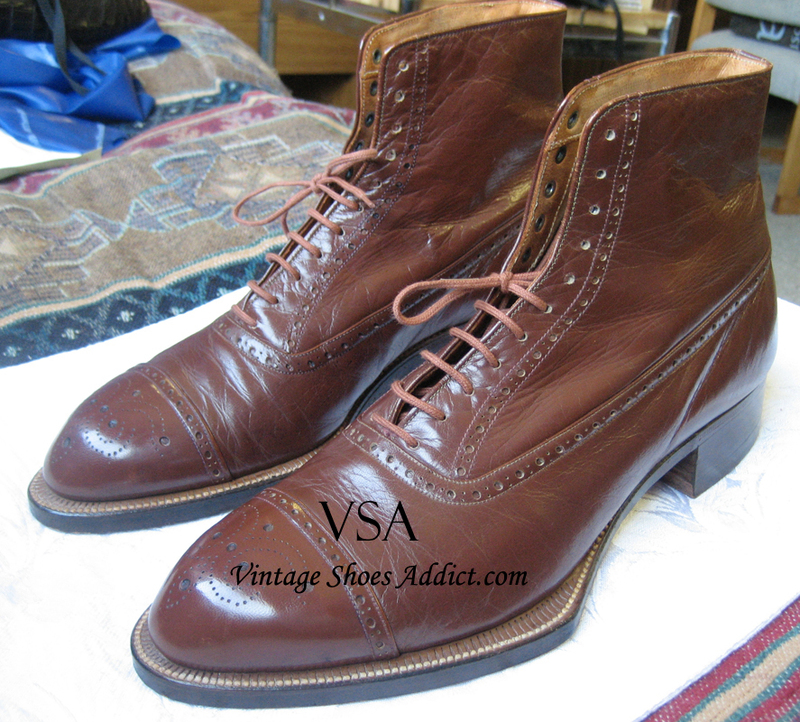 A vintage pair should still be wearable and while the leather forms prominent creases, it seldom cracks. While less common today, kangaroo is still occasionally used for shoes and wallets. Perch: Fish leathers can come from several species, salmon, cod, wolffish, eel, and catfish to name a few. Warm water fish however produce slightly thicker “hides” and are easier to tan as they have a little more hydroxiproline in the collagen, making them less prone to swelling, and temp/heat. All of your fish leathers are going to be thin relative to cow and they tend to have low tensile strength and decent scratch resistance. They are for the most part a novelty leather and are generally found on womens fashion shoes and wallets. You put together a terrific resource! My Husband just bought a pair of leather boots. I had no idea you had to care for them. You really provided some great information and tips. I’ll be passing this on to him. Those boots were like an investment so best to keep them nice as long as possible. Those calfskin and scotsgrain are beautiful! I don’t actually own any leather shoes but this post is super informative. Actually, we are using leather shoes and boots but do not care. Because don’t know them how to care about leather shoes. I get your blog and really I am happy with your blog. You share the desired information on this blog. Thanks for sharing. This is a great reminder to get your leather shoes fall/winter ready. I just did that for my suede shoes but I neglected to do so for my leather shoes. I thought I was shoe obsessed but I could take a few lessons from you! LOL! These are all great tips on taking care of leather shoes. Thanks! Solid, truly useful information! I think shoe care has become something of a dying art for many. I remember my Dad shining his shoes every Saturday night. I can still smell the shoe polish and leather like it was yesterday. My husband is retired military and to this day wants his shoes looking shiny and clean. All this information is wonderful especially since we will be digging out our leather boots.